Strengthening its commitment to customers across the country, Datsun has announced the availability of its new Datsun redi-GO and India’s first compact Family Wagon, Datsun GO+, at the Canteen Stores Department (CSD) to cater to the armed forces and ex-servicemen. Datsun will be introducing special offers through the CSD offering for servicemen and their families from the Indian armed forces. 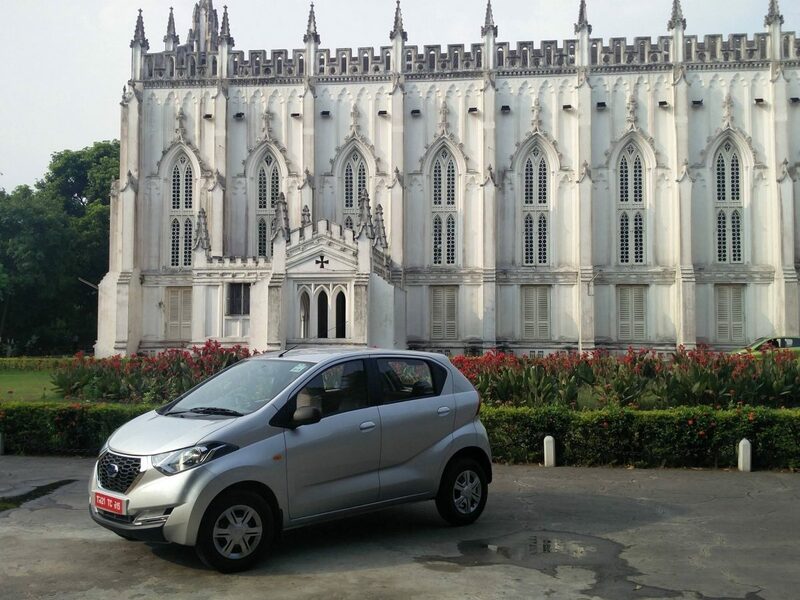 With this outreach, Datsun will bring its recently launched urban cross, Datsun redi-GO, and the compact family wagon GO+, closer to these special consumers thereby enhancing the overall Datsun brand experience in India. “It’s always been our endeavor to enhance the overall brand experience for our customers. Extending the Datsun redi-GO and Datsun GO+ under CSD along with our other existing Nissan and Datsun models, is another step to provide one more reason for our customers to take home their favorite vehicle topped with exclusive offers,” said Arun Malhotra, Managing Director, Nissan Motor India Pvt. Ltd.
Datsun redi-GO, has made an impact in the entry level car segment since its launch. With its unique styling, outstanding performance, comprehensive safety package, and low cost of ownership, the Datsun redi-GO has been receiving accolades and turning heads across the country. Datsun originated in Japan as DAT-GO (the DAT-car) almost a century ago in 1914. The word DAT means ‘lightning-fast’ in Japanese but is also a reference to the first letters of family names of the three financiers who supported the business at the time: Den, Aoyama and Takeuchi. Using the same logic, it was promoted as Durable, Attractive and Trustworthy, or DAT for short. In 1933, Nissan’s founding father Yoshisuke Aikawa took over the business with a vision of “mobility for all”. The introduction of a light-weight, economical yet resilient car to meet the aspirations of young Japanese people in the early 1930s was named the ‘son of DAT’ – Datson which later changed to Datsun. Local engineering and mass-production made the founder’s dream a reality. Nissan is a global full-line vehicle manufacturer that sells more than 60 models under the Nissan, Infiniti and Datsun brands. In fiscal year 2015, the company sold more than 5.4 million vehicles globally, generating revenue of 12.19 trillion yen. Nissan engineers, manufactures and markets the world's best-selling all electric vehicle in history, the Nissan LEAF. Nissan’s global headquarters in Yokohama, Japan, manages operations in six regions: ASEAN & Oceania; Africa, Middle East & India; China; Europe; Latin America and North America. Nissan has a global workforce of 247,500, and has been partnered with French manufacturer Renault under the Renault-Nissan Alliance since March 1999.